One only has to mention Zorinsky Lake, Wehrspann Lake & Chalco Hills Recreation Area, Walnut Creek Lake, Standing Bear Lake, and Cunningham Lake to think about all of the many outstanding outdoor recreation opportunities that exist at these wonderful water-based green spaces. But did you know that they were originally built as flood control structures. These important flood prevention reservoirs are also providing our families and friends with wonderful places they can enjoy… to picnic, play, hike, bike, fish, canoe, and take a break from our hectic 21st Century life. 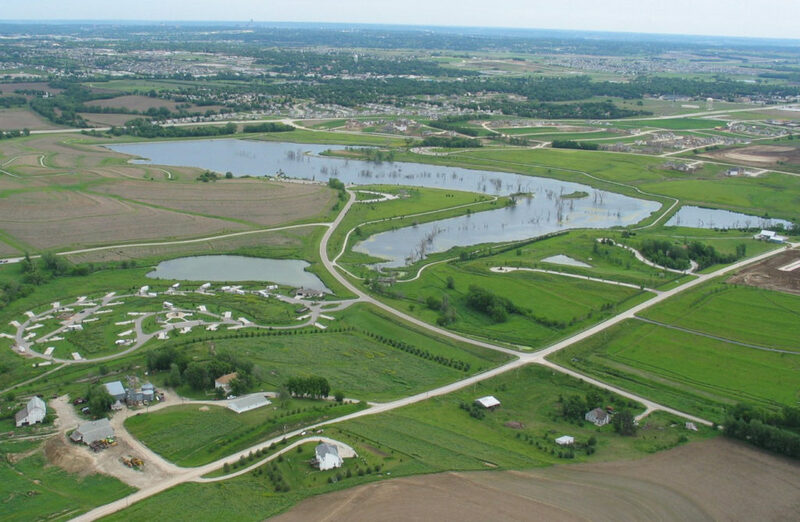 Flood control reservoirs such as Wehrspann, Zorinsky, Cunningham, Walnut Creek, and others, the hiking/biking trails along the Papillion Creek Levee System, and the flood plain management and existing and planned water quality basins found throughout the Papillion Creek Watershed are critically important permanent assets for all our communities. When companies and employers are looking for new locations to begin their operations, they always look at the investment in public infrastructure that is in place that will improve the Quality of Life for their company’s employees and families, and for the community at large. 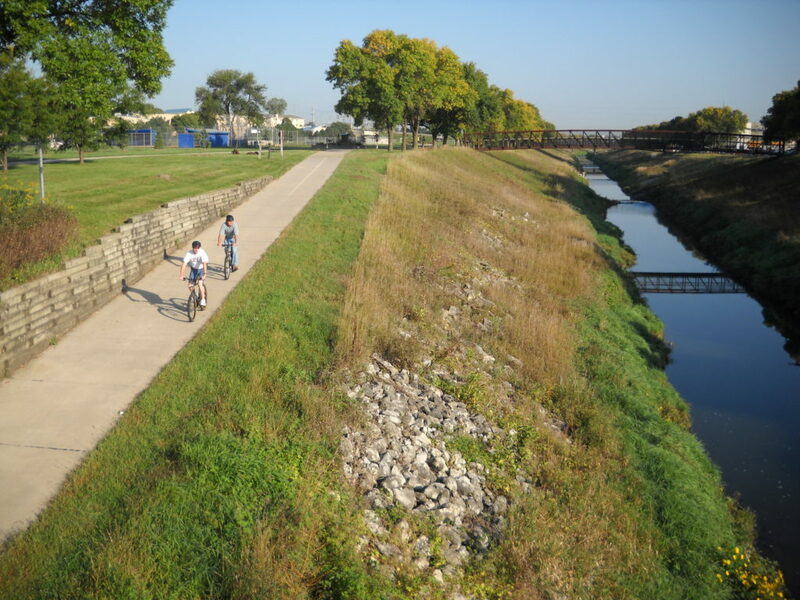 A system of hiking/biking trails atop our flood control levees adds aditional recreational value. Teamed with the reservoirs, these levees and channel widening projects are decreasing the potential for devestating floods while providing wonderful outdoor opportunities. They are important assets for our communities. They are ones that will last for generations to come. And will make this area’s Quality of Life even better. Flood control is a serious challenge. For many years, storms with the potential to cause devastating flooding in our metro region have narrowly skirted our area. The incredibly destructive power of water unleashed can seriously imperil the future of our cities and towns for many years to come. That’s why it’s important that we deal with this situation now before serious flooding could devastate our communities.